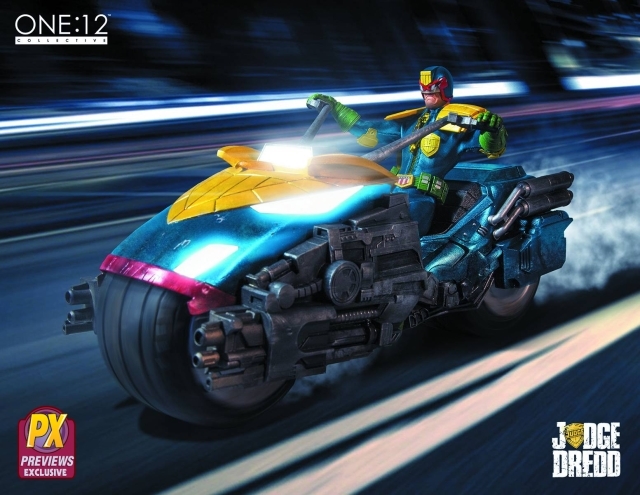 The Mezco Toyz expands their highly detailed One:12 Collective line with a new Judge Dredd action figure and his Lawmaster motorbike, based off of the design from the 2000 AD comics and featuring real lights and sound! 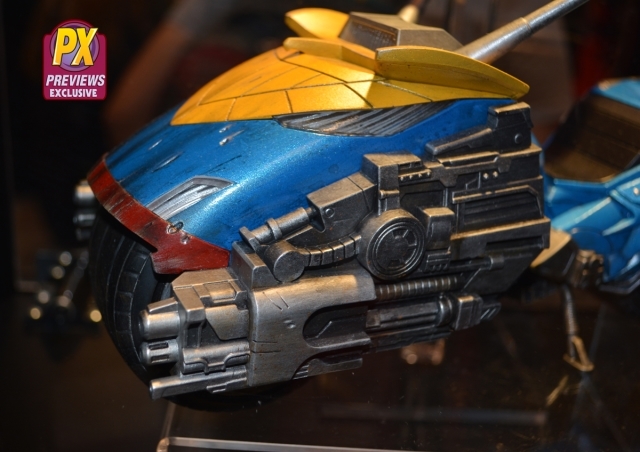 Scheduled for release on January 27, 2016. MSRP is $259.99. 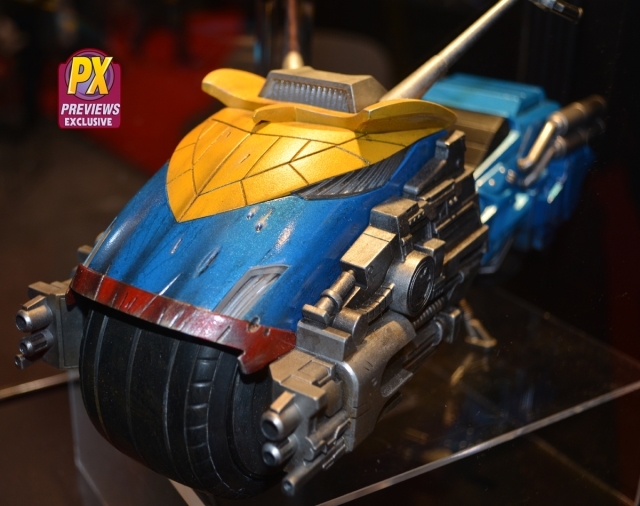 Okay the Lawmaster is a must have but...... 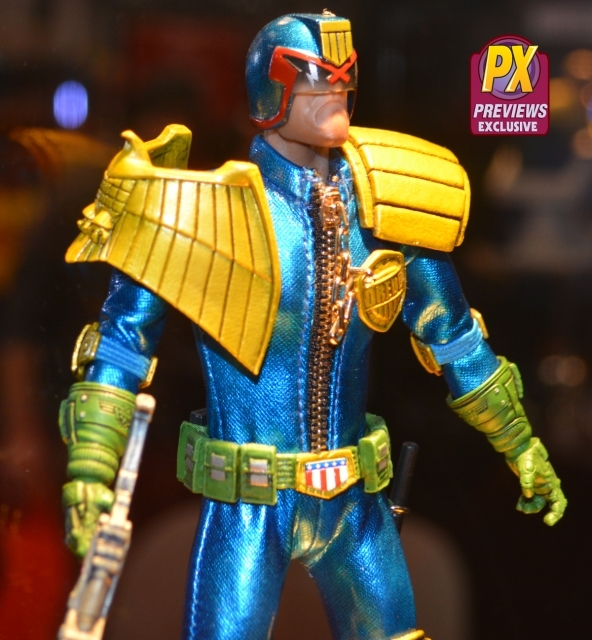 But the shiny blue metallic leotard on Joe Dredd? Who approved that? 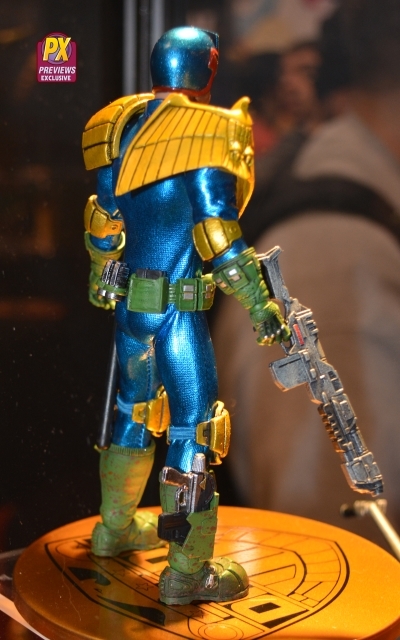 It's Judge Dredd not Ziggy Stardust. I have to tear my eyes out now.